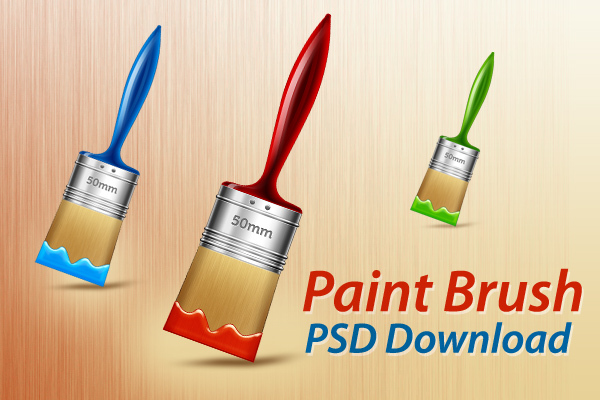 Friends, today’s PSD download is a set of 3 paint brushes in Photoshop PSD format. The brush graphics come in 3 dripping colors in red, blue and green in fully layered PSD format with each brush layers organized in named folders. The graphics can also be used as icons in web projects as each brush is isolated on a transparent background. Download the PSD & PNG files and let me know your thoughts.